A detailed cleaning is highly suggested for the first use of a cleaning service. A detailed cleaning allows all subsequent cleanings to be much quicker and easier, and less frequent. To the untrained eye, something may appear clean, however if it isn’t perfectly clean as new, it is easier for dirt, debris and oils to build up. A detailed cleaning takes everything down to bare bones, totally removing any remnant of dirt, debris or oils. 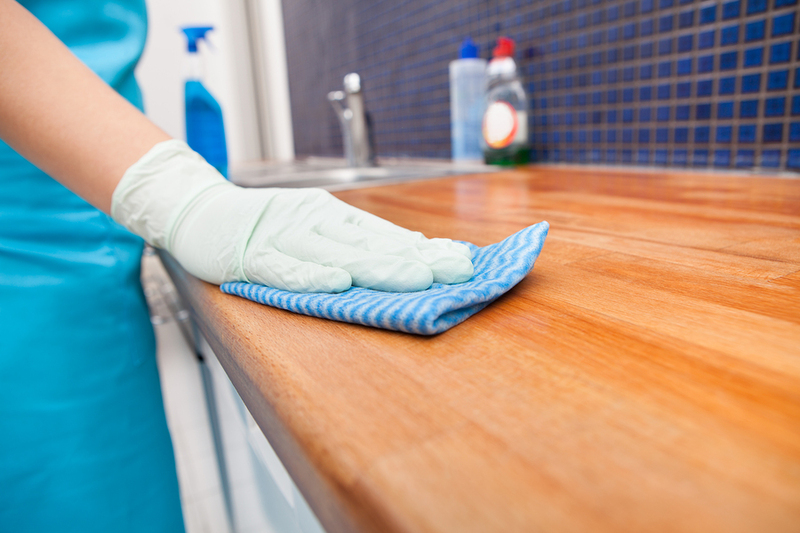 This style of cleaning can be very time consuming, but the results are certainly worth it. An unclean home can have serious negative effects on those who live in it. Messy and or unclean areas not only collect dust, dirt and pollen that pollute the home’s air. This can also cause stress that individuals may not even be aware of because they have become accustomed to the state of the home. o Grout scrubbed- to remove any stains or discolorations that may have occurred in the last year. o All fixtures cleaned and polished- Please refer to the Lights and Fixtures section on this page. o Any mold or mildew treated with chemicals- Our employees are trained on how to remove small mold and mildew spots but for bigger jobs a professional should be contacted. o Lights and fixtures are disassembled and cleaned piece by piece. We are very careful with all light bulbs, glass fixtures, etc.… We replace bulbs, and can even install new fixtures if informed while making the appointment. In addition to the fixtures being cleaned they will be polished and secured back into their original place. o Storage areas are emptied, dusted, cleaned, and swept. With your choice of having them reorganized or simply returned to their previous state, except that they will now be totally clean as new. As stated in other areas of our website; each item is also dusted and cleaned before being put away. o Appliance cleaning takes the longest out of our services. An appointment MUST be made for appliance cleaning. Our company trains our employees on how to properly clean each appliance and the proper cleaners to use on them. We disassemble the appliance and clean each individual piece practically under a microscope. The insides and outsides are thoroughly cleaned and inspected. o Walls will always be washed first. o Individuals often don’t notice the unclean state of walls in their home because the process is so gradual with which they become dirty. o We used all natural cleaning solutions and prior to our visit we ask a series of questions to determine which solution to use on your walls and wood. To be 100% positive nothing is will be damaged. For any carpet more than one year old it is strongly suggested that a carpet cleaning session is used. For more information on any of these steps please refer to the carpet cleaning page.